Who knew flooring could be so easy? 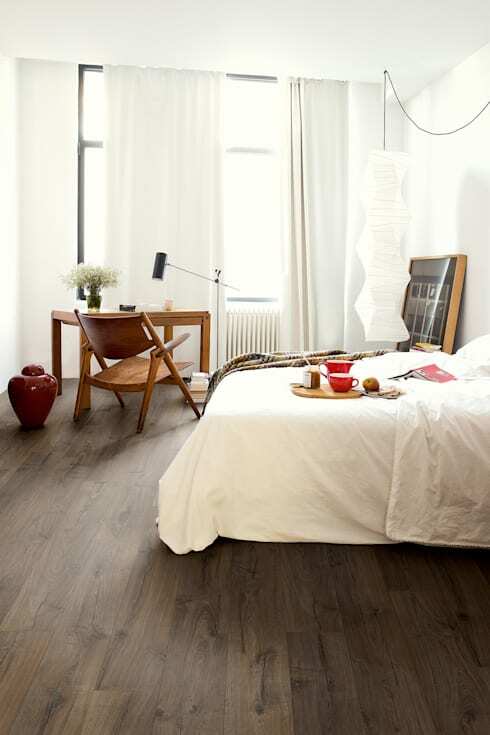 Laminate flooring can instantly upgrade your house to look sleeker and more stylish. Although you can contact a professional to get yours installed, it's not impossible to DIY this job. 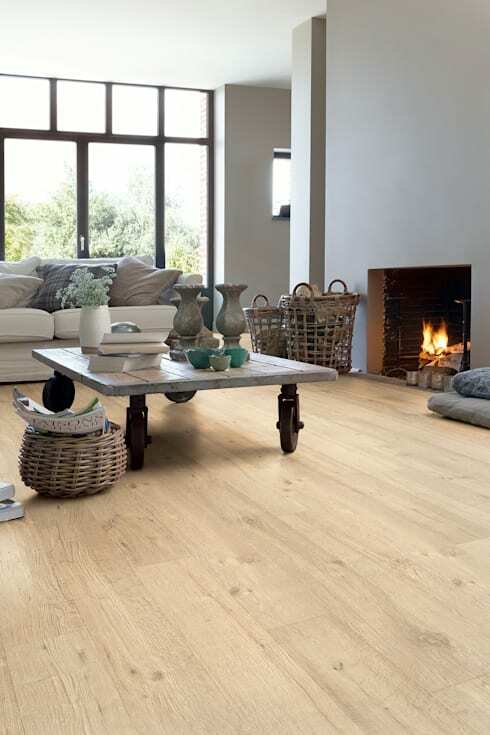 Allocate the rest of your laminate flooring budget to making your interior elegant, sophisticated and attractive, think of creative furniture, colour schemes and details. In this homify feature, we look at tips and tricks to create a more fascinating modern home, let's take a look for a cosier and comfy living space. 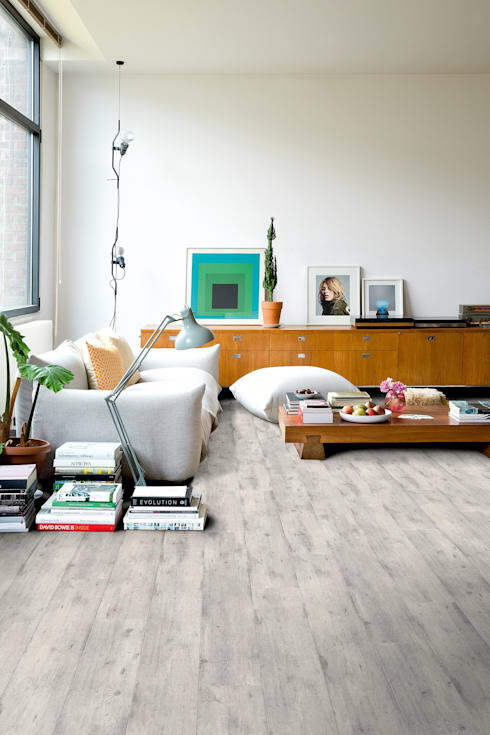 Laminate flooring is made from high density fibreboard with a decorative coating, it's available in a variety of colours and shades for anything from rustic to seaside. 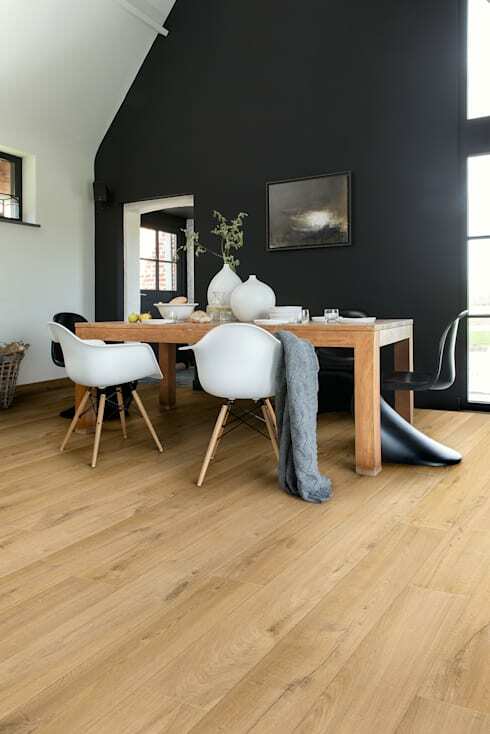 This flooring is moisture, scratch and burn resistant, ensuring that it is a long lasting option to suit your home. Once you decide on the room that requires laminate flooring, then clean the floor, scrubbing it where necessary and ensuring that it is flat, smooth, without any debris. Place a layer of plastic sheeting down to create a moisture barrier, tape the sheeting above the floor using painters masking tape, and use duct tape to overlap the edges of the plastic sheeting. 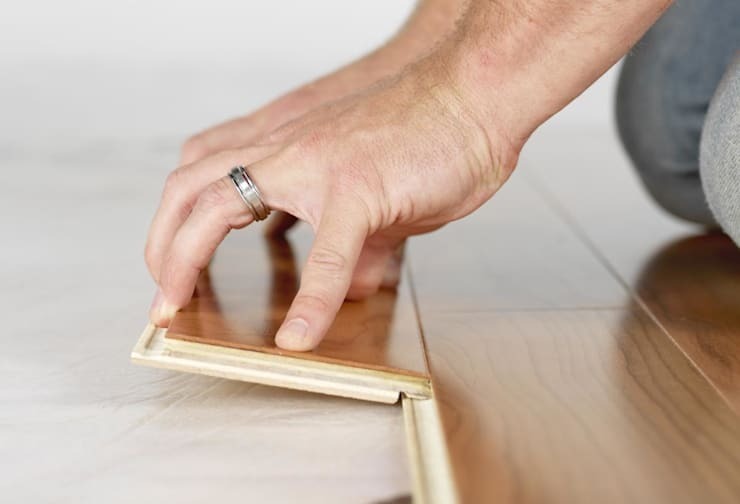 Hold the flooring away from the wall with small sections of planks, this allows for the expansion of the floor perimeter, thereafter place the first row of planks against the spacers and trim the last row to length to fit so that it ends before the wall. The short trimmed section of the previous row must be used to begin the next row. Therefore allowing the joints between the planks to be staggered. Laminated flooring often has a soundproof backing. The pieces snap together like a puzzle and are lined up at an angle, then flattened after being installed. Avoid any damage to the edges of the flooring boards, by using piece of scrap wood, instead of a hammer to tap the rows together. Install the next plank in the row, by lifting the plank at an angle to lock it in place, tap the plank against the previous plank in the row with a hammer and tapping tool. Finally, remove the spacers around the border and install skirting to covering the plastic moisture barrier against the wall and the gap between the wall and the flooring. Have a look at DIY: how to build your own home (and not break the bank!) for more helpful hints. 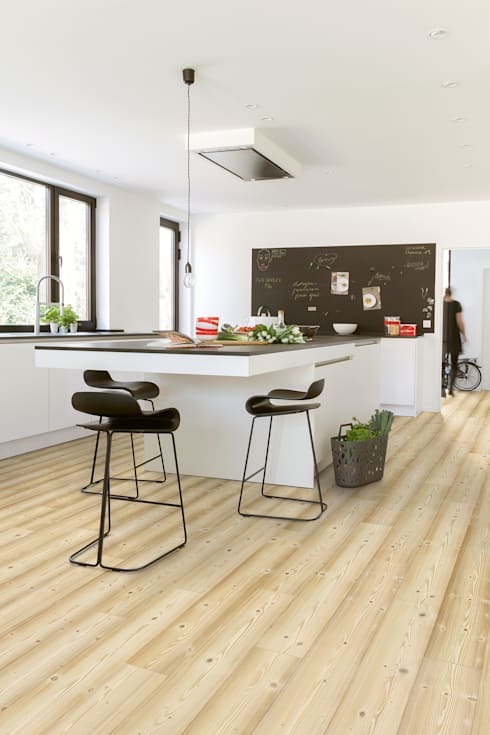 Do you have laminated flooring in your home?